Hey just recently, I was sporting one of the new shirts that was made and had mentioned to one of my kinfolk that I was working a monetary miracle and working my faith for it to manifest. At that moment, my kin mentioned that they would like to rap with me. I was like cool. Let's talk. They had read the book and complimented me on the work. I was like "Thank you, for the love". They told me that they can see that I have grown spiritually and I was like, "Ok". Then they said, "But I just wonder why you won't get closer to God. God wants you to get closer". Taken back a little I asked, "What do you mean?" They then proceeded to tell me that they knew I had went through an ordeal and they could see that God was working with me but they thought that I was doing all that God wants me to do because I still listened to secular music and did all sorts of secular things. "Oh, I understand what you're saying," I told them and then I really chimed in. The problem it was revealed to me that I told him, was that in this western society life is separated and categorized as being spiritual or secular and vice versa. It is because of this separation, so many people go to church (or wherever religious institution they attend) on Sunday, then on Monday they revert back to their hell-bent ways for a week until Sunday rolls around again. The reason is because this society has tricked people into believing that the Spirit of God dwells in four walls at a temple. This I explained is due to a lack of understanding of spiritual sciences and because western society created most of their systems off of man and woman's human frailties. In other words, you are designed to fail because you are human. I then explained to my kin that in ancient traditional African thinking we understand that there is a spiritual and physical world but they are interdependent upon each other. One cannot exist without the other and vice versa. I then proceeded to explain that as a result, what this means is that every physical (so-called secular) event that we engage in is also a spiritual event because it is all interdependent. Traditional African and Native American systems are based upon man and woman's Divinity, which means the reason why you failed is because you lack the Power of God to succeed. He then asked, "What do you mean?" I explained that take for instance money. I said from a western perspective because you view life or things as being spiritual and secular. Making money rather it be having a job, owning a business, pastoring a church, etc. it is viewed as being a secular/physical event. As a result, because people make this distinction, when it comes to making more money or solving money woes, they rely solely upon their own thinking and understanding. As a result, we know what happens when you rely upon your own thinking and things don't go according to plan...you become stressed. Stress leads to pressure and we end up making choices and decisions that we regret based upon our limited understanding, which means we don't see the whole picture, hint holistic/holy. I explained to them that this state of consciousness is illustrated on the maa aankh as the Ra moment. Ra represents our awakened conscious hovering over the physical realm of TASETT (the ancient Babylon). TASETT is a desert, it lacks adequate water, it is a perfect symbol of the physical realm, because it is limitless. When we function from this state of mind, this is how our Soul gets stuck and trapped, which is why the Ra moment is a cautionary moment because it leads to Ra Atum. Ra Atum is associated with death, the end, etc. This point is also hinted upon in the Story of Osar, which is why Hru had to flee from Set after his eye was gouged out. I told them that because of my experience, everything is spiritual-secular event now. I explained to them that when it comes to making money now, this mundane objective became a spiritual quest because it takes the Power of God to make money the right way without causing harm to myself and others. There's a lot of ways to make money but what is the right way? The right way requires you listen to the Spirit within our being, which we must remember is omnipotent, omniscient and omnipresent. It knows the best way to do whatever it is that we want, but it requires that we have F-A-I-T-H.This is what the Left Eye of Hru deals with abstract thinking and faith. 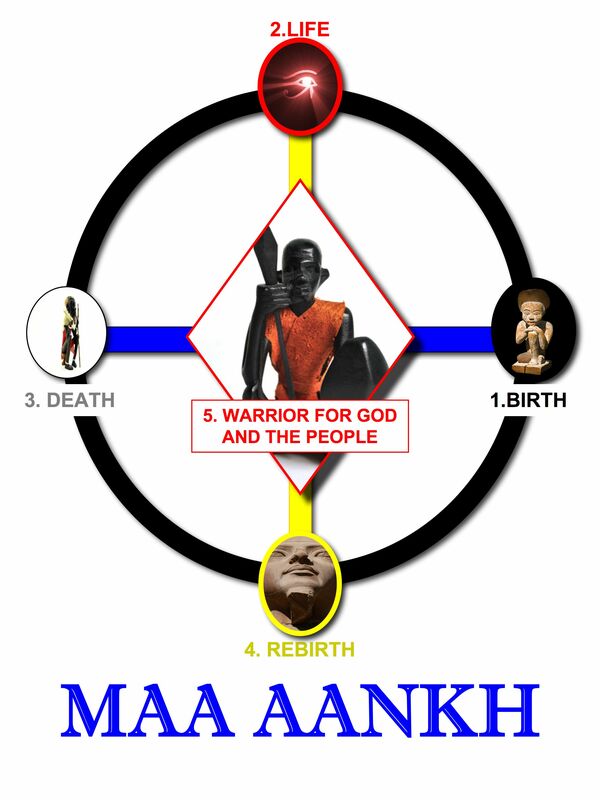 This is illustrated on the maa aankh as the Amun Ra point which overlooks KAMTA. KAMTA remember is the Black Lands full of infinite potential. As my kin sat and contemplated on what I was telling them, I told them to not apply what was said about money to everything in life such as diet, exercise, relationship with your loved ones, dealing with people that don't like you, etc. I told them that as they could imagine there's a lot of ways of dealing with all of these events but what is the correct and righteous way? If you know that have an allergic reaction to a particular food and you keep eating it, or you know that you need to exercise, these are situations where you have to invoke the power of God (of course it differs per individual). If you know that a certain action or word upsets your loved one jeopardizing the peace, of course you want to tell them when they are wrong but should you do it right now? Again, this is a situation where you have to invoke the power of God. Or my favorite, non-driving people that follow too close behind you or people that can't drive and have no defensive driving skills and cause accidents. Yeah, these are situations that it takes a higher power to get through and to help you with. It requires some real strength and where do you get that power from...within. Afterward, my kin retracted their statement because I explained that every thing that we deal with involves the Spirit of God within it. Everything that we deal with, is a form of initiation where we have to choose or choose not to invoke the Power of God in our lives. Of course, the more we invoke the Divine Power and employ it in our life, the closer we come to God and the more peace we will have in our lives. We will know when we pass our initiation introduced to us by LIFE because we will have a form of peace and other blessings that go along with it. Ever wonder why some people keep getting into bad relationships then after they get out they say, "Men (Women) ain't no good". It is because they haven't learned how to look within, learn from their mistakes and use the Power of God to move on. Every thing from help with our diet, to making money, to functioning with our loved ones and even dealing with our enemies, as a human being we're going to fail, because it is part of the plan to get us to tap into the Power of God within our being. That's why it is impossible for us to heal our bodies, etc. as a human being, but a GOD can do anything. When we align our Self with the God Conscious of AMUN RA we can accomplish anything and people all over the world have done this. They have been healed of so-called incurable dis-eases, etc. because of working his and her F-A-I-T-H.
After explaining to him my point, they understood a little bit better where I was coming from and then that's when it really hit them that the real test is all about FAITH and inner strength. "Exactly" I told them, this is the purpose of the warrior in the middle of the maa aankh, because we have been so conditioned into believing only what we can physically see and not trusting in our own Divinity. The more and more FAITH we have in our Divinity and applying it, the stronger we become physically and spiritually and the closer to God we become. Life they began to understand is a spiritual-physical event. I explained to them that when you see it from an ancient African perspective you will see that it is like a partnership between the spiritual and the physical, which is why it is said that Hru was the king of the day and Osar end up becoming the Lord of the Night/Underworld, which is the Spirit Realm. It is the same reason why people meditate, pray, and do rituals because they want a miracle that can't be accomplished physically because of physical limitations. So, they have to reach into the spirit realm where there are unlimited possibilities that exists. After talking to them, later that day, I received news that the monetary miracle I was working came through. 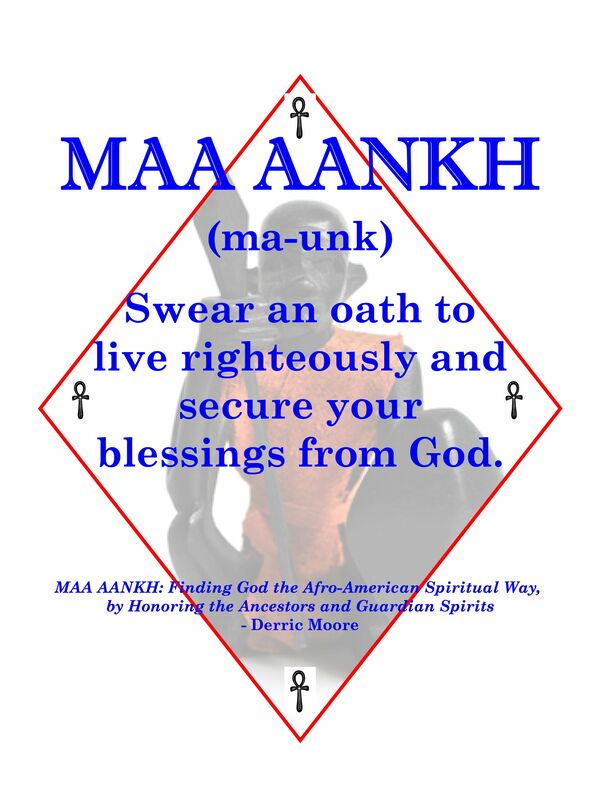 All I could say is yes, God is Good, thank God for the aakhu (ancestors) and for Knowledge of Self.